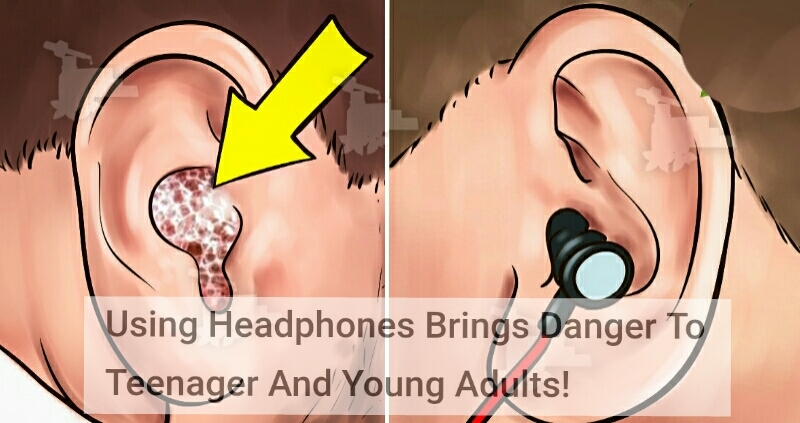 Using Headphones Brings Danger To Teenager And Young Adults! Nowadays many young people, cranking up the music is what everyone’s doing. And, the louder it gets, the better. But, your ears may pay the price later on which your not paying attention. Lot of parents are often asking their teenagers to remove their headphones so they can hear clearly which health experts are in favor of because of the risk in listening to loud musics. According to the recent research it suggests that there could be link between using ear buds and mild hearing loss in teens. According to World Health Organization (WHO) , some 1.1 billion teenagers and young adults are at risk of hearing loss due to the unsafe use of personal audio devices, including smartphones, and exposure to damaging levels of sound at noisy entertainment venues such as nightclubs, bars and sporting events. While you won’t have any noticeable signs immediately, the damage could creep up. Exposure to loud sounds can result in temporary hearing loss or tinnitus which is a ringing sensation in the ear. When the exposure is particularly loud, regular or prolonged, it can lead to permanent damage of the ear’s sensory cells, resulting in irreversible hearing loss. Most teenagers should be aware that once they lose their hearing, it won’t come back. So, taking simple preventive actions will allow people to continue to enjoy themselves without putting their hearing at risk. - Be aware of the warning signs of hearing loss and get regular hearing check-ups. - The highest permissible level of noise exposure in the workplace is 85 dB up to a maximum of eight hours per day. - Keep the volume down on personal audio devices. - Limit the time spent engaged in noisy activities by taking short listening breaks and restricting the daily use of personal audio devices to less than one hour. - Use carefully fitted and if possible, noise-cancelling earphones/headphones. - Wear earplugs when visiting noisy venues. Safe listening depends on the intensity or loudness of sound, and the duration and frequency of listening. Because what you do now will affect you for years to come. And, there’s no turning back.